Hello! Welcome back for a quick weeknight recipe. Aditya and I mostly prefer ethnic foods, so I’m always interested in cooking non South Asian meals (since this is the default in our house). Tonight I felt like a Hispanic dinner would be so yummy so I made a quick trip to Trader Joe’s on the way home from work. 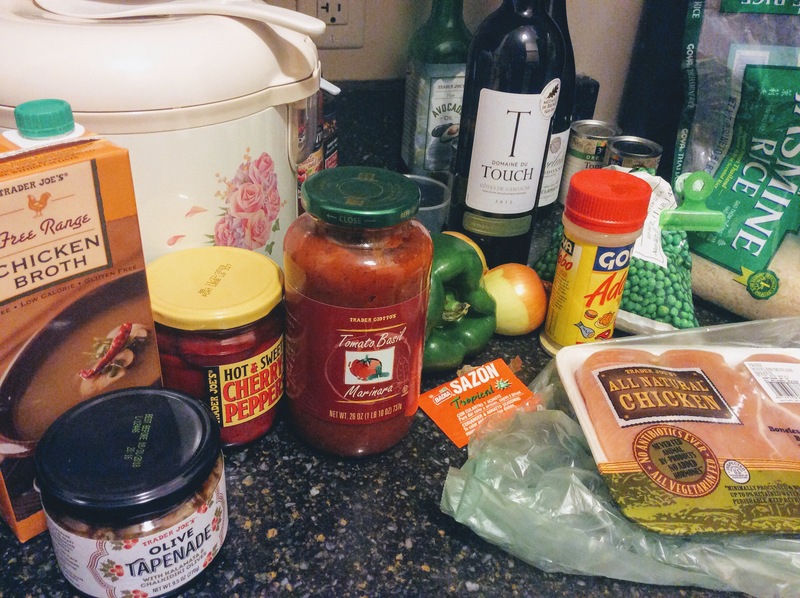 Trader Joe’s had everything I needed, and I already had some essentials at home – adobo, saffron, garlic, sazon, rice. Growing up in Leominster I was always surrounded by a good mix of ethnicities! I had a lot of Hispanic friends who would share their foods with me. How lucky was I?! 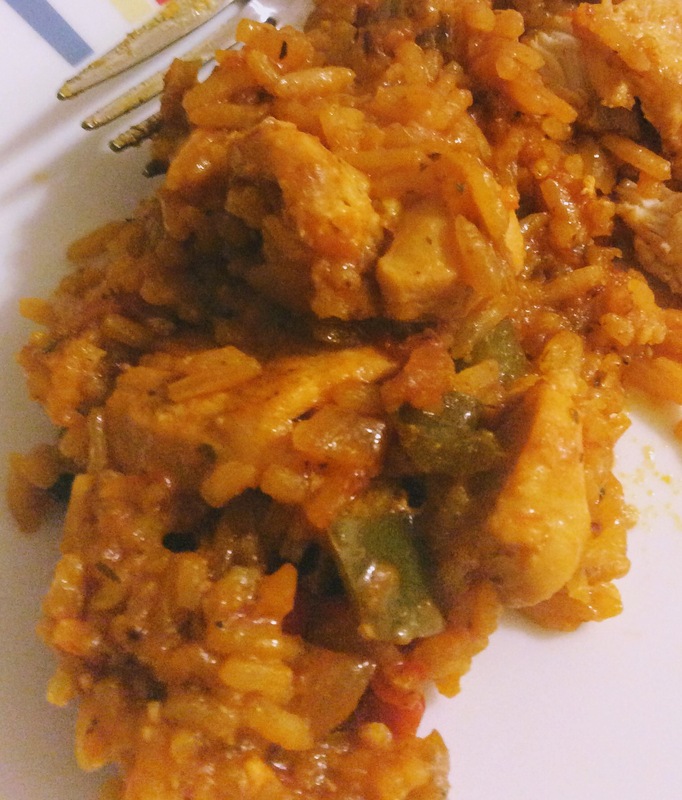 Spanish food is one of my favorite, always wholesome, comfort foody, and so rich in flavors! So here’s the recipe. This took me like 30 minutes…so easy. Seriously though! Chop onions, bell pepper, cherry peppers, and chicken into small pieces. 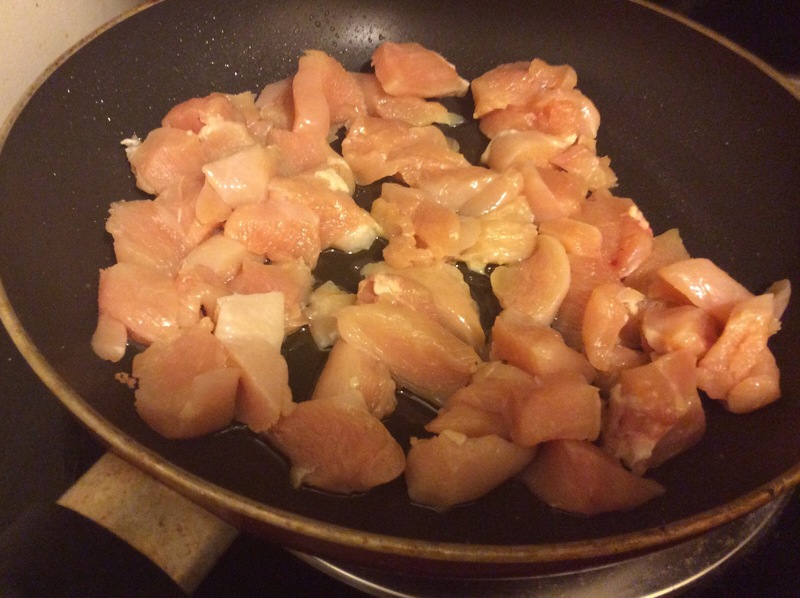 Sauté chicken for 10-15 minutes on medium-low heat (this can be done while preparing the base to save time.) For the base, start by frying onions in oil. When brown add green pepper and garlic. Add more oil if needed. Rinse rice in cold water until water runs clear, let sit in water. 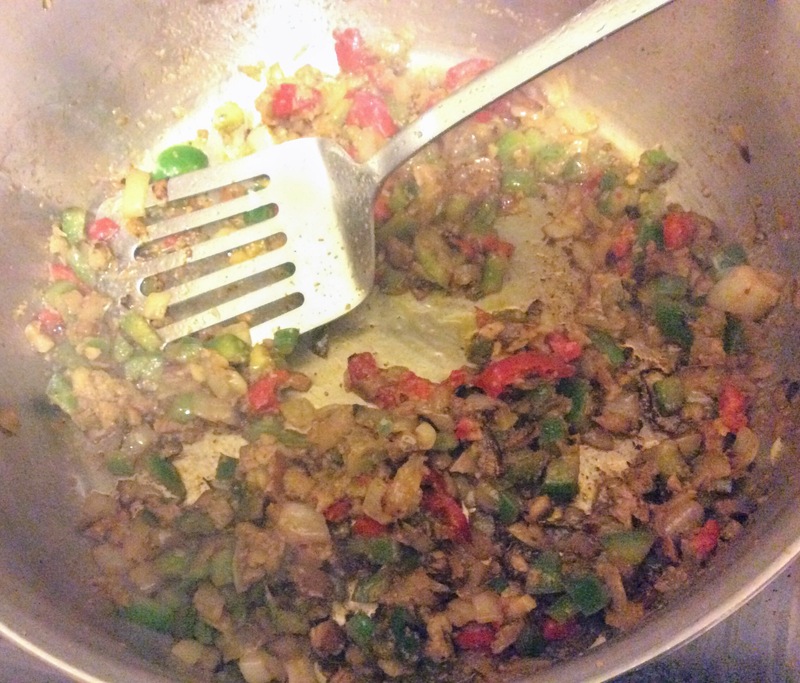 Add tapenade, cherry peppers. Sauté 2 minutes. Add broth, wine, saffron, adobo, sazon. At medium heat add tomato sauce, boil 5 minutes, until base becomes thick. Add chicken to base and cook 2 minutes. Drain water from rice and add to pot. Reduce heat to medium low and cook for 7 minutes. 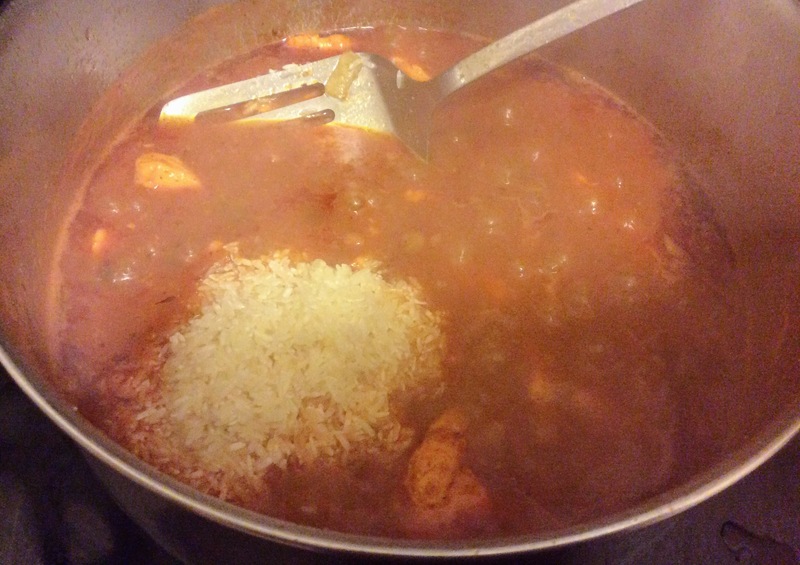 Check pot and if rice is sticking move around and cook 8 minutes more on medium low. Check to make sure rice is done and enjoy. Muy sabroso!! Hope you liked this recipe. Enjoy!